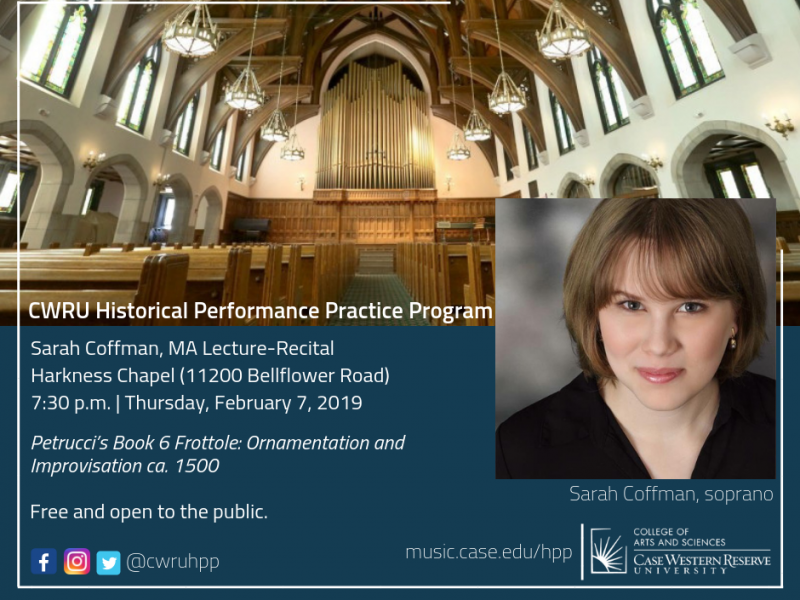 Historical Performance Practice Program | Students in the CWRU HPP program are part of a small, highly selective, and fully funded experience for advanced students destined for leadership in the early music field. Our degrees provide graduates with a wide range of marketable career-building skills while encouraging creativity and exploration. Based on the philosophy that outstanding historical performers also need to be excellent historians and researchers, the program combines high-level performance training with rigorous academic study. Students take private lessons with our renowned applied faculty and visiting artists; participate in a wide range of ensembles from Medieval to Romantic; enroll in musicology classes and targeted HPP seminars; and prepare lecture recitals by working closely with a faculty advisor – all with the aim of deepening their understanding of the repertories they perform and their historical contexts.